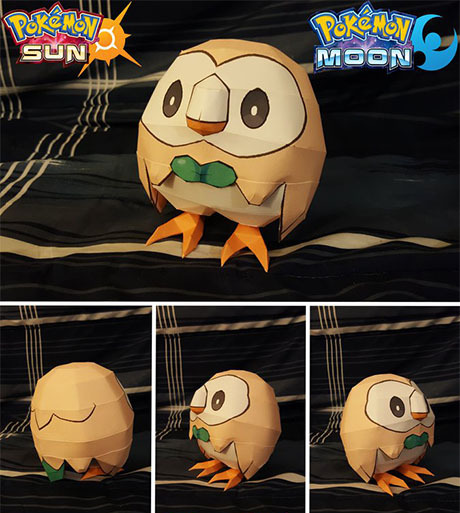 Rowlet is a dual-type Grass/Flying Pokémon. Along with Litten and Popplio, Rowlet is one of three starter Pokémon of Alola available at the beginning of Pokémon Sun and Moon. Papercraft created by Javierini.